Parliament’s Portfolio Committee on Police has decided not to renew his contract that expires on Thursday. 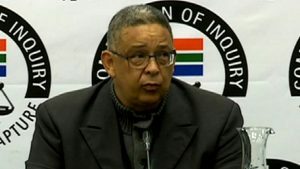 However, McBride says the decision is invalid and unlawful and wants the High Court to hear the case urgently. The committee had set aside this week to determine whether it agreed with Police Minister Bheki Cele’s decision not to renew McBride’s five-year contract. McBride took Cele to court saying only Parliament had the power to decide whether his contract should be renewed or not. Thursday was the deadline for the committee to report back to the High Court on the matter. McBride did issue a statement. He felt that he needed to go ahead with some kind of action. He made it very clear he does not believe that he’s entitled to this position but he said that things were said that he needs to clear up.